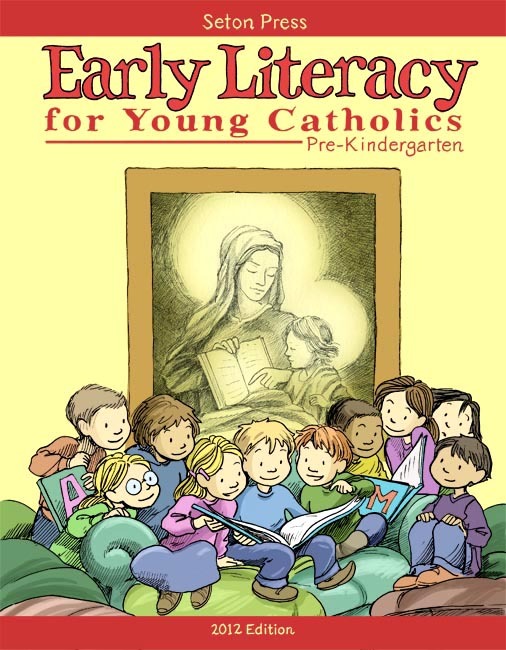 Early Literacy for Young Catholics is remarkably illustrated and filled with hundreds of exercises and activities that make learning fun. Beautifully crafted, this book also introduces your child to the wonders of God's creation that we experience in our daily lives. Our Catholic Faith is an important part of the exercises. After all, children learn by doing. Your preschool aged child will absorb many things important for his or her future life just by being, observing, and doing. Full Color. 246 pp. Find out more about Seton's Pre-K program .